Until this title appeared in Osprey’s Twitter feed, I had no come across the Combat series before. They are a new one looking at different armies facing each other on a particular battlefield. 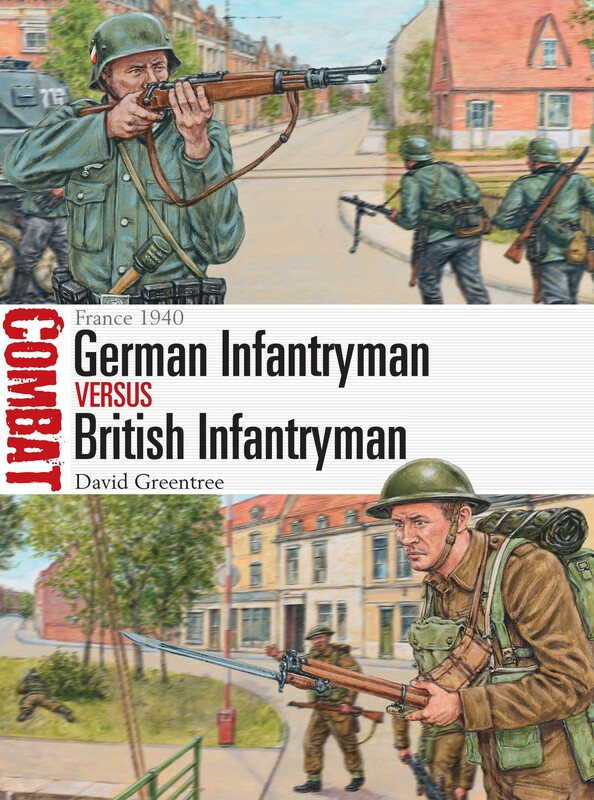 This example looks at the fighting in France in May-June 1940, comparing the experience of the British Expeditionary Force (BEF) with the German army. It does this by examining each army in turn and then looks at three actions from this period to analyse the battle performance. The actions chosen for this title were Arras, Calais and Merville, giving a good cross section of the type of battles fought during the German Blitzkrieg. This was a brilliant little book, packed full of detail and well researched. The descriptions of the battles were superb and the accompanying artwork so accurate I could pick out streets and areas I knew in Merville, for example! The photographs are good too, and not the usual ones found for this period of the war. An excellent book useful for battlefield guides, military historians and wargamers alike – highly recommended. The book can be purchased via the Osprey website.